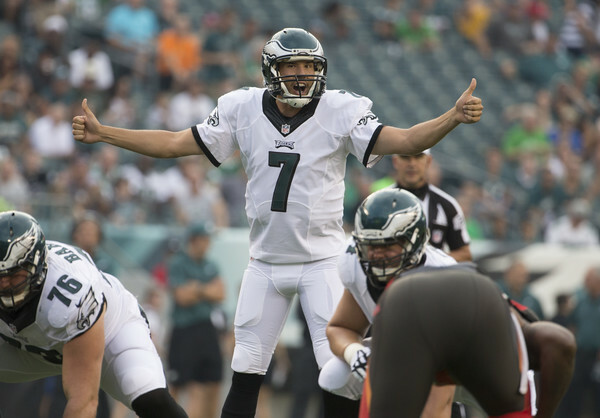 The trade for Sam Bradford is only defensible in a very immediate sense. When the in-house option to replace the injured Teddy Bridgewater is Shaun Hill, a desperate attempt to upgrade the most important position on the field isn’t that surprising. Entering 2016’s season with Shaun Hill under center puts a hard ceiling on what you can achieve. Sam Bradford is hardly a world-beater as a Quarterback, but the Vikings went 11-5 one year ago with League-average quarterback play. Even if Bradford is not quite as good as Bridgewater, he will be good enough to keep a strong defense in plenty of games in a way Hill would likely not have. 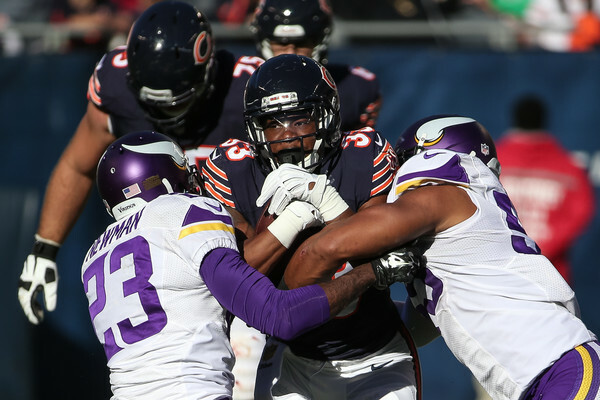 If one is looking for reasons to be optimistic about the offensive transition from Bridgewater to Bradford, the best one is likely the presence of Adrian Peterson in the backfield. With a still-productive all-time great at running back, the Vikings were always going to be a run-focused offense and one has to figure that Peterson’s workload will only increase. For all of Peterson’s brilliance as a runner, he’s never been effective as a receiving target in the passing game and he hasn’t shown much in the way of blocking in the backfield either. Peterson will need to make the most of his carries, because he is the biggest weapon the Vikings’ offense has by miles and obvious passing situations preclude him from being on the field. Bridgewater’s progress was disappointingly stunted in 2015. In his defense, he was throwing to a bad set of receiving targets with late-round rookie Stefon Diggs being his most reliable target. Diggs’ immediate performance was a nice surprise for Vikings fans, but he hasn’t developed enough to be counted on as a primary target in the passing game. Minnesota did what they could to bolster their receiving corps by drafting Laquon Treadwell in the first round. Treadwell’s draft stock speaks to his potential, but he’ll need to arrive in full this season to make this anything but another poor set of targets. The Vikings’ top priority this offseason was fixing the offensive line. They signed guard Alex Boone and tackle Andre Smith in free agency and shifted guard Joe Berger over to center. The other two starters are tackle Matt Kalil, who is solid if disappointing given the potential he showed in his first season in the NFL, and Brandon Fusco, who has also been good, though inconsistent. This is an overhauled unit that will be much-improved from last season, but there aren’t really any guys here who have played at a high level consistently. Maybe this is the year that Matt Kalil puts it all together. That would go a long way. This is where this team gets really fun. 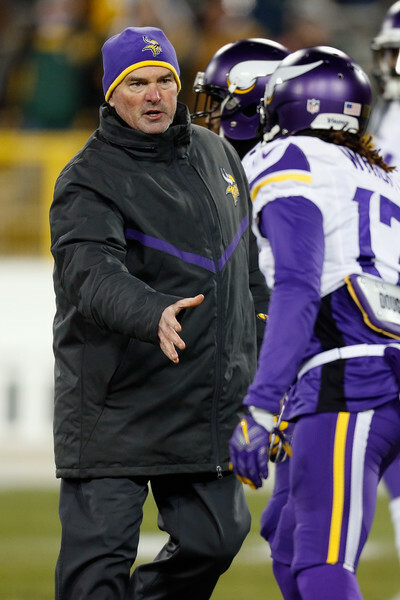 Head Coach Mike Zimmer arrived in Minnesota with a reputation for building nasty defenses in Cincinnati. The defense he’s built in Minnesota has the potential to be one of the League’s very best this year. The defensive line is going to be nasty, with the home-grown Shariff Floyd-Linval Joseph duo anchoring them in the middle. Danielle Hunter’s sophomore campaign is worth getting excited over based on the prowess he demonstrated in all aspects of the game in 2015. He has the potential to be a phenomenal every-down player very soon. On the other side of the line, Everson Griffen was a Pro Bowl alternate last season and there’s no reason to expect a dip in his production in this, his age 28 season. Behind the outstanding line, the Vikings will feature two very strong linebackers in Eric Kendricks and Anthony Barr. Barr is already outstanding and is primed at 24 years old to take another big step forward this season. The one weak link in the Vikings’ defense is outside linebacker Chad Greenway. Greenway has been a loyal servant, but is well past his peak at 33 years old. In a defense that’s as sound otherwise, expect him to be targeted early and often this year. When you look at Minnesota’s secondary, the name that really jumps out at you is Harrison Smith. Smith has been a first-team All Pro two years in a row and his exceptionally high level of play will continue in 2016. But, what’s most impressive about the Vikings’ secondary isn’t that it features a good player at all four starting positions. It’s the depth that they’ve managed to build in case any of those players get injured. Captain Munnerlyn was good last year and Terence Newman is somehow still managing to play at a high level. If injuries or age catch up with either of them, the Vikings have big talents in Xavier Rhodes, Mackensie Alexander and Trae Waynes waiting in the wings. The Vikings have five cornerbacks who could start on a LOT of NFL teams. If one of them was truly top-drawer, this might be the best secondary in the League. Adrian Peterson reminds everyone that he’s still the NFL’s best running back, excelling under his greater workload. Sam Bradford has the best season of his career behind an improved offensive line. An above-average offense and top-3 defense propel Minnesota back into the Playoffs. The offensive line never quite comes together. Sam Bradford does not take the step forward observers have been waiting for his entire career and even Adrian Peterson isn’t enough to stop this from being a bottom-10 offense. An overworked, exhausted defense is merely good, not great. The Vikings regress badly from their surprising 2015 and the Bradford trade doesn’t save a lost season. The football analytics community was skeptical on the Vikings this year before Teddy Bridgewater got hurt. Its members reasoned that because of how drastically they outperformed their expected wins total last year, regression to the mean would likely be enough by itself to bring them back closer to the 9-7 team they appeared to be. 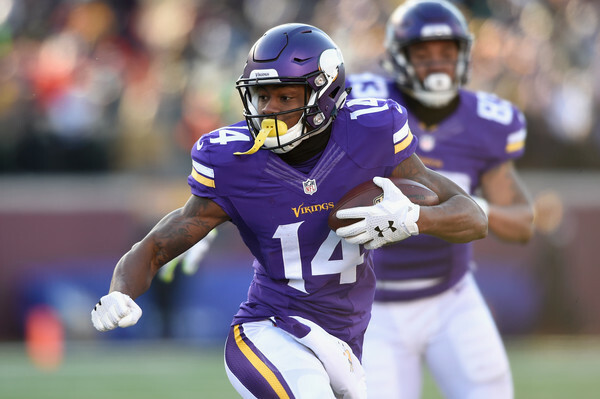 Bridgewater would have been a better QB this season than Sam Bradford will be, but an improved offensive line, expected development from Stefon Diggs, and the addition of Laquon Treadwell should be enough to negate that difference. The other side of the ball is going to be glorious. This defense is for real. Barring an absolute apocalypse of injuries in the front seven, they’re going to be one of the best in the League. Minnesota’s schedule features a lot of offensive firepower, though, and they don’t have the personnel to keep up against their toughest opponents. Minnesota has a nice season, but doesn’t penetrate the NFL’s group of championship contenders.